The Bodmin & Wadebridge Railway opened in 1834 (running from Wadebridge to Wenford bridge, with a branch to Bodmin) as a means to transport minerals and agricultural sea sand. The Cornwall Railway (from Plymouth to Falmouth) opened in 1859, bringing in holidaymakers and taking fresh produce out of county, to the London markets. The Bodmin branch line opened from Bodmin Road (now Bodmin Parkway) to Bodmin in 1887. This included the building of Bodmin General, our principal station, which retains much of its Victorian charm today. A further line, from Bodmin to Boscarne Junction, was opened in September 1888. Steam hauled passenger services ended on the line in 1963. Nationalisation saw the withdrawal of all passenger services between Padstow and Bodmin Road in 1967. Freight trains continued to run between Bodmin Road and Wadebridge until 1978. The railway’s present existence is owed to the China Clay industry, and the china clay traffic which enabled the line to Wenfordbridge to remain open until 1983, when complete closure of the route took place. Efforts to preserve the branch line, with a view to reopening it as a heritage steam railway, began shortly after closure. The Bodmin Railway Preservation Society (BRPS) was formed in 1984, and they in turn formed the Bodmin & Wenford Railway plc in order to raise funds to purchase the line from Bodmin Parkway to Boscarne Junction, via Bodmin General. They were successful, and North Cornwall District Council (now part of Cornwall Council) secured the land from British Rail. The first Open Day was held on Sunday 1st June 1986, when a small steam locomotive – former Devonport Dockyard 0-4-0ST No 19 – performed shunting demonstrations at Bodmin General Station. These were the first authorised train movements in the preservation era, and thus the Bodmin & Wenford Railway was proud to celebrate its 30th anniversary in 2016. Services between Bodmin Parkway and Bodmin General were restored in 1990, and the line was extended back to Boscarne Junction six years later, in 1996. Since then the Bodmin & Wenford Railway has operated trains – principally steam, but with some heritage diesel services – over the 6½ miles between Bodmin Parkway and Boscarne Junction via Bodmin General. 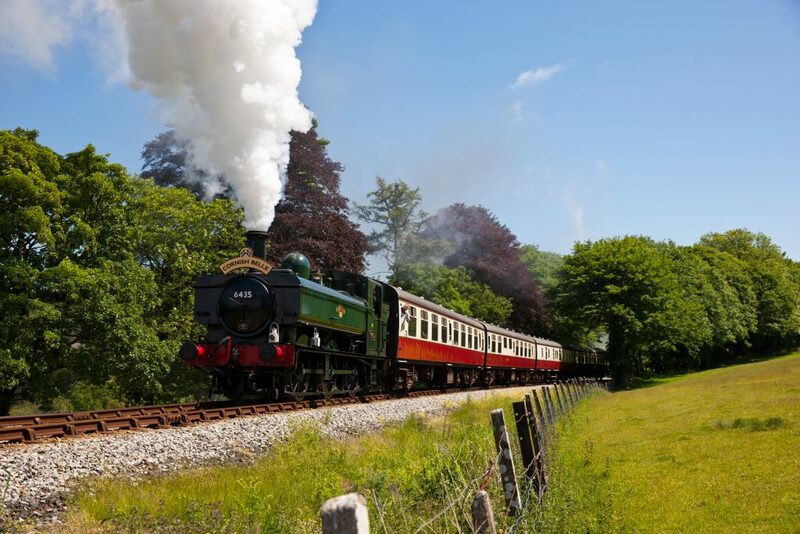 The railway has firmly established itself as one of the country’s finest steam railways. Why not plan a visit!